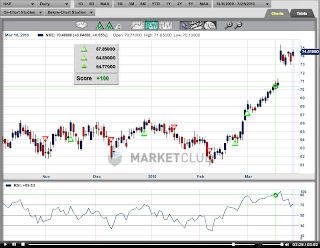 MarketClub presented a great swing long idea in Nike (NKE) this week. The trade has yet to trigger but it is one I will take should $75 be taken out. All timeframes look great with stops to be placed at $73 if NKE trades higher this week.